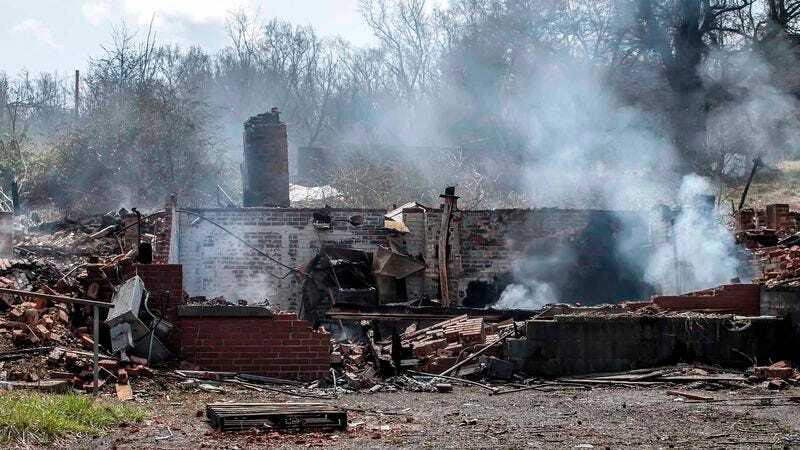 HUMBOLDT, IA—After making sure to douse every home, farm, and business located in the municipality with gasoline, retreating Clinton campaign staffers reportedly set the central Iowa town of Humboldt ablaze Friday to stem the advance of Bernie Sanders volunteers. “Once we received word the Sanders campaign had begun canvassing in nearby Fort Dodge, we only had a matter of hours to burn everything to the ground,” said communications director Jennifer Palmieri, who tossed a lit torch through the window of the town’s hardware store before rushing over to help a group of Hillary for America workers erect a roadblock made of dead livestock to prevent all entrance to and exit from the city. “With so little time left before voting day, we simply can’t allow them to establish a foothold in this part of the state. Besides, you can’t convince anyone to caucus for Bernie Sanders if the civilian population is gone and all that’s left is smoldering rubble.” At press time, Clinton campaign staffers were spotted rigging a nearby bridge with C-4 as they hastily retreated to Algona.